Occupy Wall Street (OWS) has given our timorous, unimaginative, and politically ambivalent unions a much-needed ideological dope slap. Some might describe this, more diplomatically, as a second injection of “outside-the-box” thinking and new organizational blood. Top AFL-CIO officials first sought an infusion of those scarce commodities in labor when they jetted into Wisconsin last winter. Without their planning or direction, the spontaneous community-labor uprising in Wisconsin was in the process of recasting the debate about public sector bargaining throughout the U.S. So they were eager to join the protest even though it was launched from the bottom up, rather than in response to union headquarters directives from Washington, D.C. It would be a miraculous transformation indeed if organized labor suddenly embraced greater direct action, democratic decision-making, and rank-and-file militancy. Since that’s unlikely to occur in the absence of internal upheavals, unions might want to focus instead on casting aside the crutch of their own flawed messaging. That means adopting the Occupation movement’s brilliant popular “framing” of the class divide and ditching labor’s own muddled conception of class in America. In his 1974 memoir and union history, United Electrical Workers co-founder Jim Matles reminded readers that labor struggles are about “them and us”—or, as OWS puts it, “the 1 percent” vs. the “99 percent.” Unfortunately, most other unions have long relied on high-priced Democratic Party consultants, their focus groups and opinion polling, to shape labor’s public “messaging” in much less effective fashion. The results of this collaboration have been unhelpful, to say the least. Organizations that are supposed to the voice of the working class majority have instead positioned themselves–narrowly and confusedly–as defenders of America’s “middle class,” an always fuzzy construct now being rendered even less meaningful by the recession-driven downward mobility of millions of people. As SUNY professor Michael Zweig argued in his book, The Working Class Majority: America’s Best-Kept Secret (Cornell ILR Press, 2000), labor’s never ending mantra about the “middle class” leaves class relations—and the actual class position of most of the population–shrouded in rhetorical fog. Interaction like this, between OWS and union rank-and-filers, has been mutually beneficial in many other places. 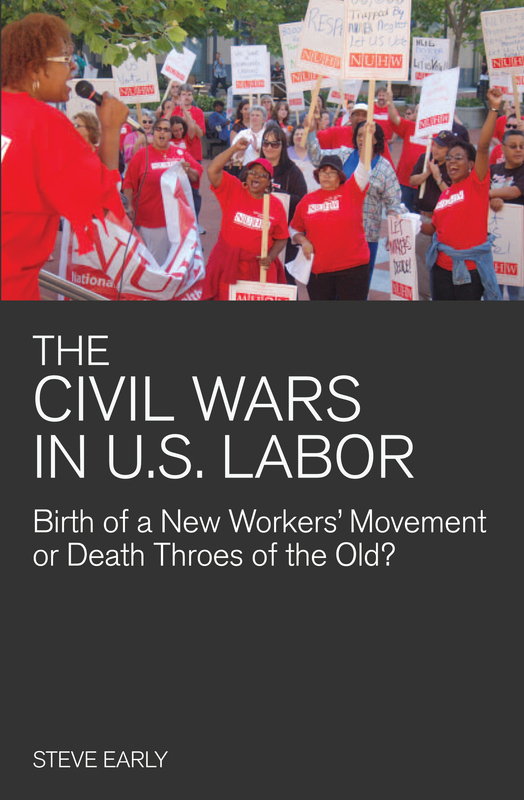 On the labor side, Occupation activity has been a much-needed source of new energy and ideas. Lets hope that union members can keep pushing labor’s communications strategy in a more resonant OWS-influenced direction. If they succeed with that objective, more substantive and harder to achieve organizational change could be next on the agenda.